Ronnie O'Sullivan came from two frames down to lead 5-3 in his Tour Championship final against Neil Robertson in Llandudno. 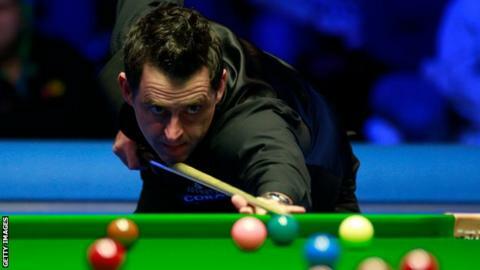 Englishman O'Sullivan, 43, will become world number one for the first time since 2010 and the oldest for 36 years if he goes on to lift the trophy. Current world number two O'Sullivan will replace Mark Selby in the top spot if he triumphs.